Locusts, rockfall, the abominable snowman, migrant caravans of crusty trad climbers, socialist hordes of sport climbers, and gym-climber banjo boys—the threats in the mountains are many and if you’re not careful you could end up a statistic in the annual body count. Fortunately for you and me, it’s always the other person who’s most at risk: the new-to-town gumby, that dude wearing gaiters, that skinny showoff with shiny new cams. They’re the ones on the chopping block, not me and you. We’re immune, right? Of course, that hurbis is mistake number one. Read on. Number of climbing accidents resulting from anchor failure, according to an RMR study on mountainproject.com. The number of serious injuries and fatalities reported weekly by the National Park Service, according to “Accidents and Accountability: Perceptions of Unintentional Injury in Three National Parks” (Rickard and Newman, 2014). Don’t think it’s all grizzly maulings and crevasse falls, however. Although bison have injured more visitors than any other animal in the park, by far the most common cause of injury and death in Yellowstone National Park is traffic accidents (and more people die due to burns from the park’s thermal features than from bear attacks). And don’t let any of the fatality numbers scare you too much, over 331 million people visited national parks in 2017. Out of 100 of those national park accidents, the number of which that can be attributed to rockfall. Avalanche fatalities in the U.S. and Canada respectively during the 2017-18 avy season. Percentage of American fatalities that were “roof avalanches” during that season. Every few seasons someone gets surprised by this (thankfully) rare type of avalanche, including two unlucky victims near Creede, Colorado, in 2010. Average U.S. fatalities per year for the last decade. Despite enormous growth in backcountry skiing and riding, as well as snowmobiling, fatalities have not kept pace upwards. Avalanche educators hope their courses are working, while some speculate that the best gauge of growth in the backcountry—gear sales—doesn’t correspond directly to user days. Avalanche fatalities, respectively, since 1951 of mechanized (heli and cat) ski guides, guided mechanized clients and guided human-powered clients. There has been endless debate regarding the risks of going guided versus non-guided and the argument is far from settled. Comprehensive, robust statistics are lacking, but guided clients tend to tackle more ambitious, dangerous objectives, which skews the data. The number of in-bounds skiers and riders killed due to avalanche since 1951. Skiers and riders are increasingly taking a beacon, shovel and probe onto the ski hill on deep days, though accurate statistics are lacking. Tree well deaths account for five percent of all ski-area fatalities. Incident rate per million of avalanche fatality in bounds, from 2010-2017, according to the National Ski Areas Association. Deadliest avalanche months in the U.S. (with 238, 226 and 182 recorded fatalities). Despite mid-winter avalanches being the greatest threat in Colorado, there have been avy fatalities in every month of the year. Read up, take an AIARE 1 course through the American Institute for Avalanche Rescue and Education (avtraining.org), and remember—enough snow to ride, enough snow to slide! Percentage of fatal avalanche victims in France who carried a beacon,shovel and probe in 2000, 2005, and 2010 respectively according to the National Association for the Study of Snow and Avalanches, France. Safety equipment improves one’s chances of surviving an avalanche, but only with the knowledge of how to use it. Avoidance is the first line of defense. Did we suggest taking an avalanche course? Do it! 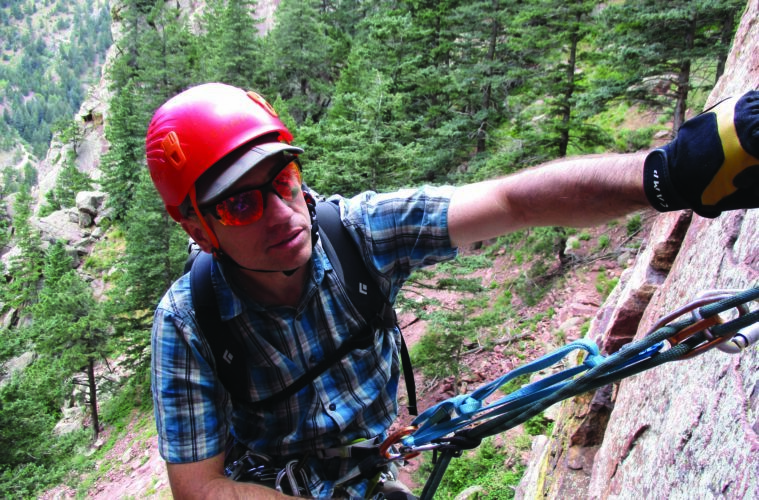 Estimated maximum percentage of rescues avoided if climbers studied the rappel route and/or walk-off, and carried headlamps, according to a Rocky Mountain Rescue article in Wilderness and Environmental Medicine, in 2012. Percentage of fatally injured climbers who were climbing unroped, according to the same article. Elevation Outdoors contributing editor, Rob Coppolillo included these final stats as a scare tactic to get you to hire him. He’s an internationally licensed mountain guide and owns Vetta Mountain Guides (vettamountainguides.com).